Het Wilde Weten is an independent artist-run initiative in Rotterdam, providing artist studios, a public platform for contemporary art and an Artist-in-Residency program. The residency provides Dutch and international artists the opportunity to live and work in a studio-building amongst 16 artists. The residency program promotes cultural exchange by connecting parallel practices. Rotterdam has a vibrant art scene with many artist-run initiatives, galleries and exhibition spaces. Het Wilde Weten is located in the heart of Rotterdam, the main museums and art centres are easily reachable on foot. On the first floor the guest artist of Het Wilde Weten has access to a 30-sqm studio that is furnished with a chair, loft bed, refrigerator, wardrobe and a large table. There is a private shower and shared toilet adjacent to the studio. Downstairs is a shared kitchen, on the second floor there’s a coffee corner. The guest artist has access to a bicycle and internet connection. Due to fire safety regulations they can only accept individual artists living in the building. The organizers will provide support for the guest artists in connecting them with artists, curators or other agents working in their field. With that in mind the guests are asked to give an artist talk introducing them to the Rotterdam art scene and fellow HWW-members. These artist talks are often organised in cooperation with other Artist in Residence programs in Rotterdam. Upon request an exhibition/event in the 80 sqm exhibition space of Het Wilde Weten is possible (this is not included in the fee). We would like to have a Motivation Statement, your CV and your portfolio. If you work with videos, please send as a link too. – HOW SHOULD I SEND YOU MY APPLICATION? – WHILE IN THE RESIDENCE, IS IT POSSIBLE TO LIVE IN THE STUDIO? Yes, you live and work in the same space. The studio is located on the first floor of Het Wilde Weten. 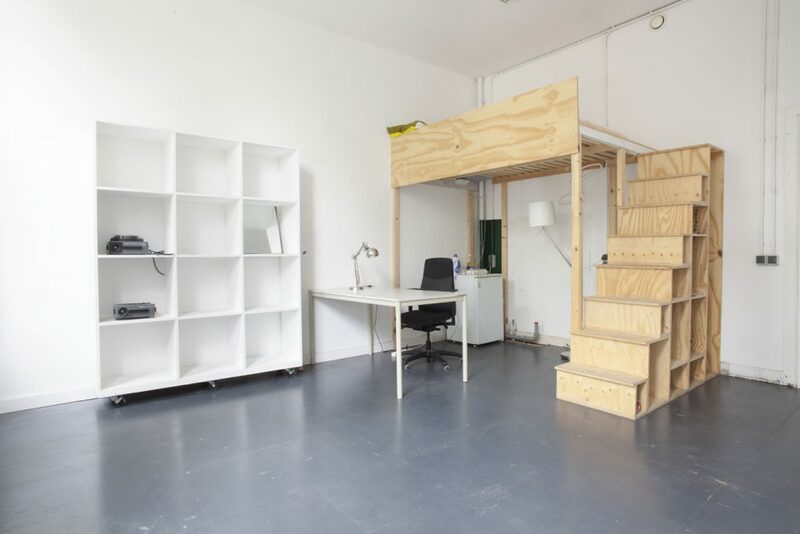 Its 30sqm studio furnishes with a chair, loft bed, fridge, wardrobe and a large table. There is a private shower and shared toilet adjacent to the studio. Downstairs is a shared kitchen while, on the second floor there is a coffee corner. You will have access to a bicycle and a wireless internet connection. Towels and bedding are provided. – WE ARE AN ARTIST DUO, CAN WE BOTH COME? Unfortunately we can only have one artist in the studio/living space due to fire regulation. – HOW MUCH IS THE RENT? The rent is 375€ all inclusive. We ask you for a 200€ deposit on arrival. – IS THERE ANY ADDITIONAL CHARGE OR RENTAL FEE IF SOMEONE IS SPENDING THE NIGHT WITH ME? Unfortunately only one person can sleep in the studio due to fire regulations. – CAN I CHOOSE THE SPECIFIC TIME SLOT? Please keep checking the website and facebook page for updates.